Creating a pitch deck can seem daunting at first, especially if you’ve never done it before. 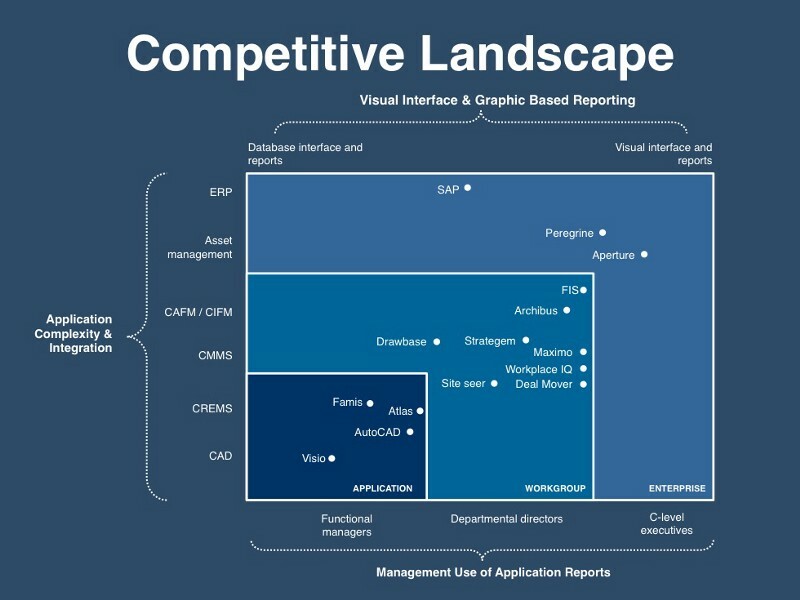 You probably googled, “how to build a pitch deck” or looked at examples from 2010. You probably attempted to stitch something together based on what you’ve learned on the internet and realized your story is fragmented. *Please note that your deck does not have to follow this order. 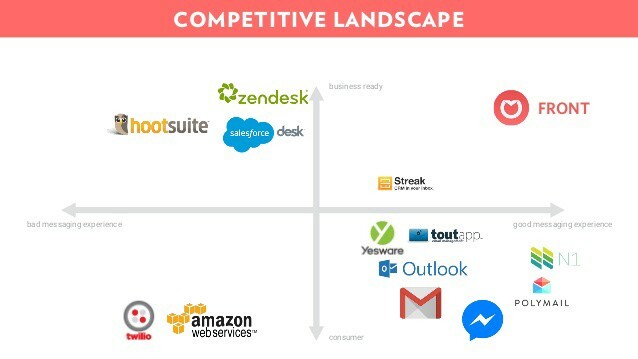 Every startup has its own unique competitive advantage and the format would differ depending on the stage you’re in. This is for your reference only. How is your solution better than the alternative solutions? What are the finished-story benefits? Is there anything proprietary and unique? Our solution is a cloud-based law practice management software that helps lawyers manage all their schedule, billing, accounts and cases. We’ve tested our solution with 25 lawyers and they said we’ve helped them save at least 60 minutes out of their busy day. 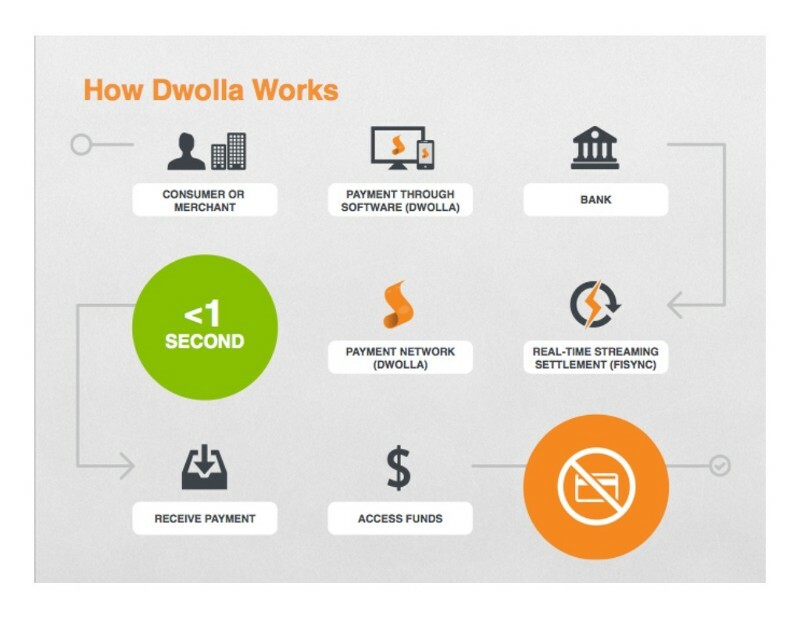 I also love the following slides because the team at Dwolla shows how their product is so much simpler, faster and cheaper than the alternative solution. The goal of the solution slide is to elicit curiosity from the investors so they are thinking “how are you solving this problem effectively?” Most entrepreneurs make the mistake of trying to describe the product and its features, but not how their solution will bring value to their customers. How many paying customers or users do you have? How much revenue are you generating (monthly/annually)? How much are you growing on a monthly basis? Do you have key partnerships in place? Do you have key testimonials from your customers or NPS score? 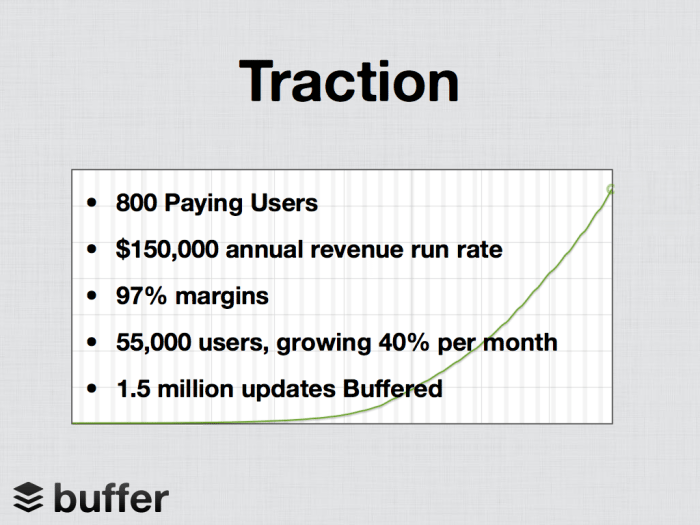 Note: Depending on the type of business you are in, your traction metrics might vary. I call this the “turn key slide” because it’s the slide that will determine if the investor wants to keep reading or stop. Remember back in Slide 2, you conveyed all the great benefits that your solution offers. Well here, you want to give your investors a quick demo of your product and explain to them how it works without giving away too many details. 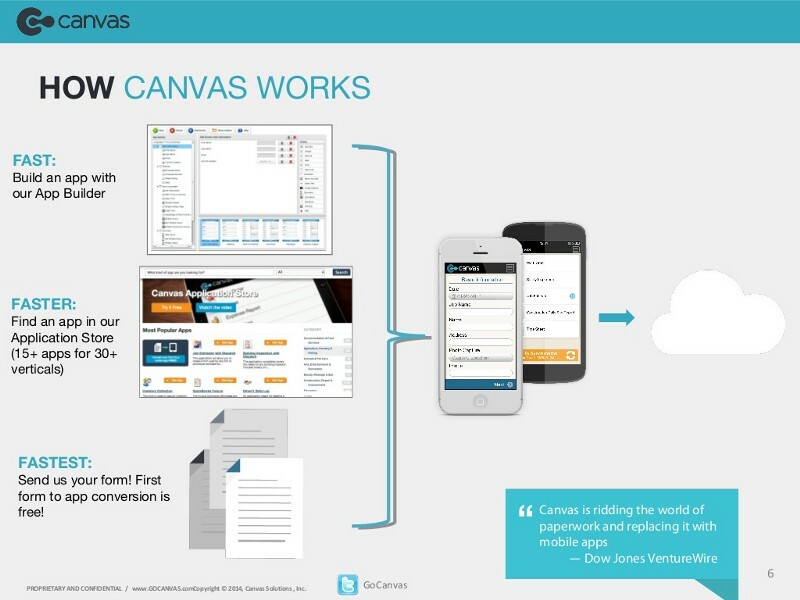 Keep the explanation simple and concise with a few screen grabs of your product. How does it bring value to your customers? Slides 1–4 collectively form the “hook.” The sole objective of these slides are to get the investors interested in your business so they would want to learn more about the opportunity. For slides 5–8, you want to convince them that there is a real market potential and you have a great plan to tackle this market. How big is your TAM, SAM and SOM? If your market is niche and small, talk about how you can become the big fish in a small pond. What does ideal customer profile (ICP) look like and who are your early adopters? What is the lifetime value and cost of customer acquisition of your customers? What is your churn? There are 510,600 online retailers in the United States that spend $3.5 billion dollars on customer success annually. Our target market sells commodity products online in the US market and they are doing 500k-30 million dollars in annual revenue. They also spend 5–10 percent revenue annually on customer success. We found out that there are 101,680 online retailers who fit this profile so the total estimated obtainable market size is $750 million. This market is growing at a 15% rate. Currently we have 800 paying customers who are paying us $200/month. We are generating $1.92 million in annual revenue. 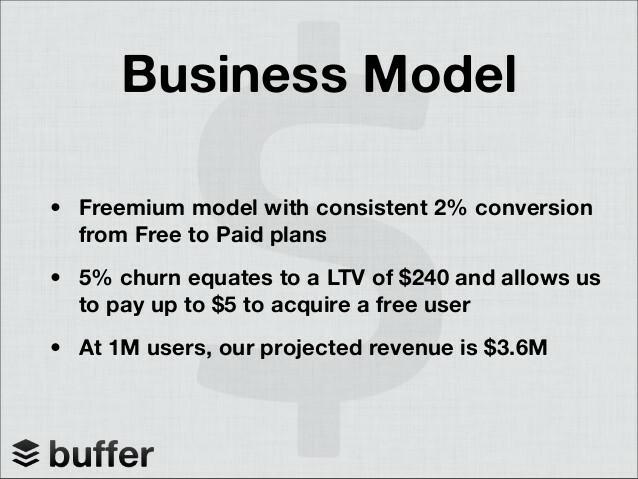 Our churn is 2 percent and we’re growing at 20 percent monthly. *Read this if you’re interested in learning more about how to do a bottom-up market analysis. One of the most frustrating questions that an entrepreneur can get is “What if Google enters your market with more resources, how do you defend it?” There’s no real answer to that question because until Google does that, no one would know what would happen- they could either fail miserably (Google +, Glass, Google Wave etc) or have tremendous success (Google Analytics, Gmail, Google Adwords). 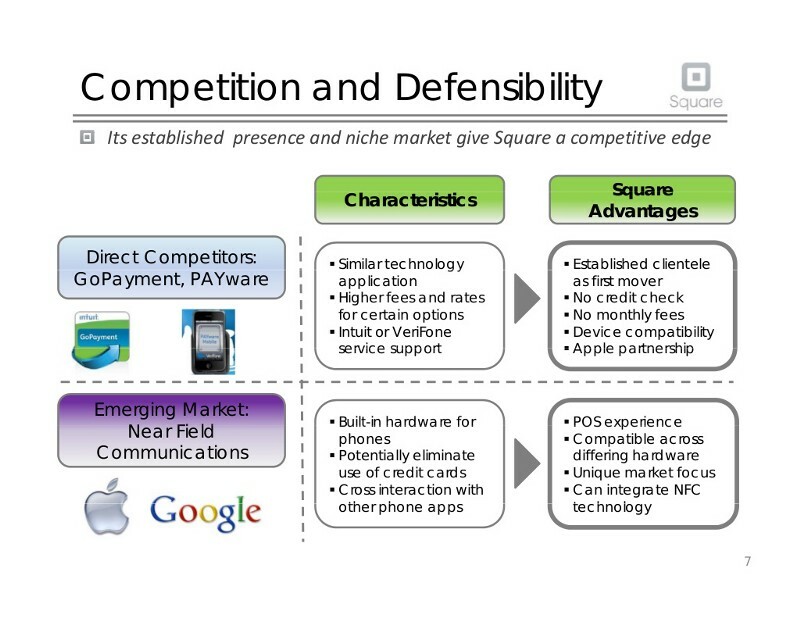 How do you defend your market against your competitors? What is your secret sauce? How are you going to become better than your competitors? *Personally, I don’t like the “check box” comparison chart of all the features you have because it could be very biased. I would explore ways to show how your startup can obtain another key segment of the market faster than your competitors. 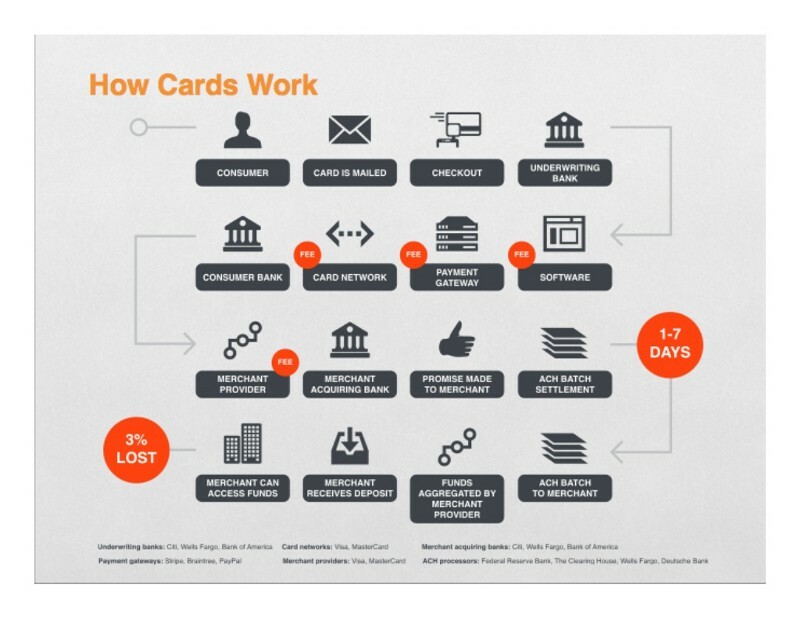 How have this business model been validated through experiments or case studies? Now that you have identified your target market and the business model, you want to let your investors know how you are going to obtain this market. How are you going to get your product to the hands of your customers? Which channels are you going to focus on given your current resources? What have you done to validate that these are the most effective channels? What is your competitive distribution strategy? 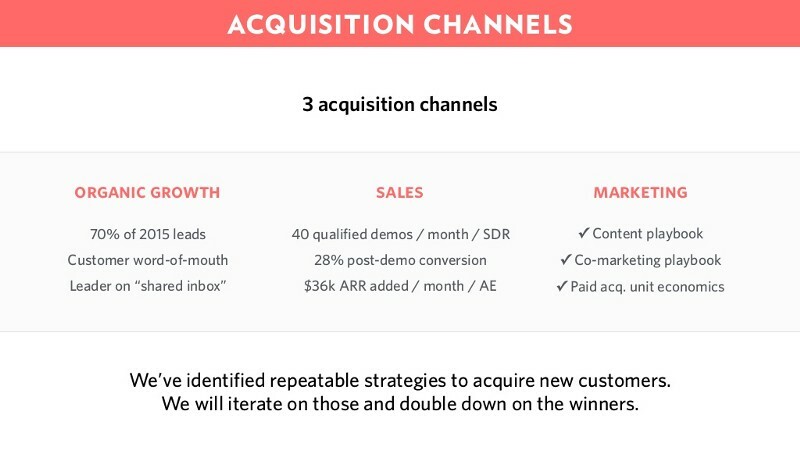 In order to support these ambitious customer acquisition strategies that you have just laid out, you need to ask for investment. This is the moment that your entire deck has been building up for. How much capital do you need for further validation of your business model? What is your runway and what is your burn? What is the breakdown of capital allocation? What are you going to spend it on? What is the cost of customer acquisition? How confident are you that it is going to stay under a certain range? We are asking for $600,000 at $3,000,000 pre-money valuation to fund our customer acquisition strategies and product roadmap. This will give us 18 months of runaway to repeat and scale our business model. We are spending the first 250k on hiring one back-end developer, one UX designer and one customer success person. This team will help us get to problem-solution fit and further validate our acquisition channels. We think our cost of customer acquisition is $10 through Facebook advertising, but we’re 99 percent confident that it will be below $15. Through this estimation, if we invest the next 50k into Facebook advertising, it will help us acquire 3,300 customers and each customer has an average lifetime value of $250. 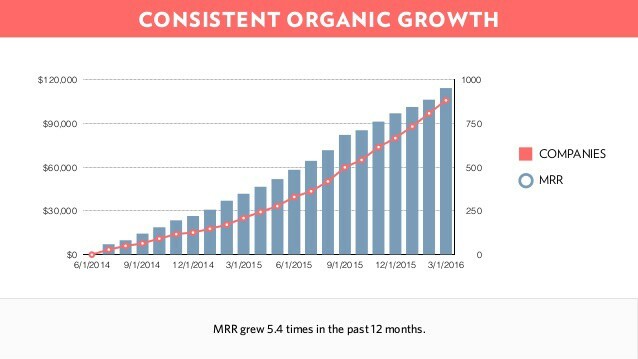 In order to sustain our growth, we will need to spend the next 300k hiring one growth marketer, one more customer success person, and two developers. Here is our financial projection of the next 18 months based on our growth rate in the past. We anticipate to generate $2M in ARR by September 2017. Koho wrote a great blog on how they used $1000 to raise $1M. They also created a great tool to help you calculate your CAC and the confidence level. In this slide, you want to introduce your team, your roles and past experiences. Explain to the investors why you are the best team to execute this idea. Where did you meet your co-founders and what have you done in the past together to show that you can work well together? Who are your advisors and why are their experience relevant to the problem you are solving? The vision should be communicated in your title slide as a high-level pitch or tagline and at the very end to remind your investors why they should care. After the investors are presented with all the facts, data and validation and if the numbers check out, they would want to hear about why you are convicted to make this work. Remember, at the early-stage, investors are investing in the likelihood that you are the right person to solve this problem. Why are you driven to achieve this vision? Facebook: Our mission is to make the world more open and connected. We do this by giving people the power to share whatever they want and be connected to whoever they want, no matter where they are. Ikea: At IKEA our vision is to create a better everyday life for the many people. Our business idea supports this vision by offering a wide range of well-designed, functional home furnishing products at prices so low that as many people as possible will be able to afford them. WeWork: WeWork’s mission is to create a world where people work to make a life, not just a living. Here is the narrative template you can use. This is a major problem we have observed in this world. We know this is a major problem because it is validated by this credible research and stats. Through our own research, we have also confirmed that this is a major problem. Currently, people are using these alternative solutions and they’re not working out so well because of these reasons. We believe our solution will solve this problem because it does this amazing thing that will greatly benefit our target customers. We’ve tested this solution with a few beta customers and they absolutely agree that we’ve solved this problem for them. In fact, our current traction shows that we have X number of paying customers with positive NPS score. Our ARR is this and our MRR is this. We are growing at X % monthly. We also have these major distribution partners onboard. We’ve been featured in these media for our recent accomplishments. Our product is designed and built to solve this problem. This is what it looks like and this is how it works. Customers love us because it brings them these benefits. The market size is this big and this is our obtainable market size. This market is growing X percentage each year. 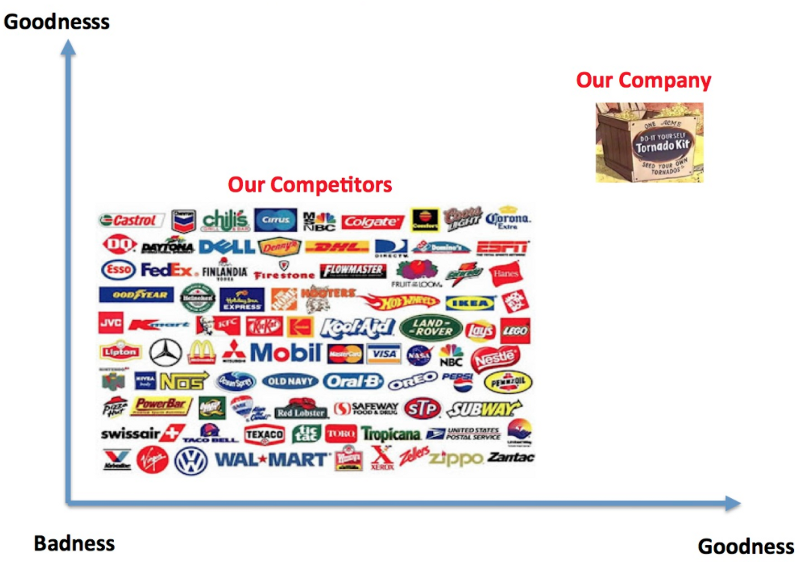 This is how we position ourselves against our competitors. This is why we are better. At the moment, our cost of customer acquisition is X amount and the lifetime value of a customer is Y amount. We are confident with the support from the partners we are currently negotiating with, we can bring the CAC down to this amount and LTV up to this amount. We also plan on tackling these channels with these resources. To support our go-to-market strategy and reinforce our validated business model, we are asking for X amount of investment at Y pre-money valuation. The discount is X % by this date. The first portion of the investment will be used to validate this experiment. From the results of this experiment, we will have a clear understanding of how to get to problem-solution fit. 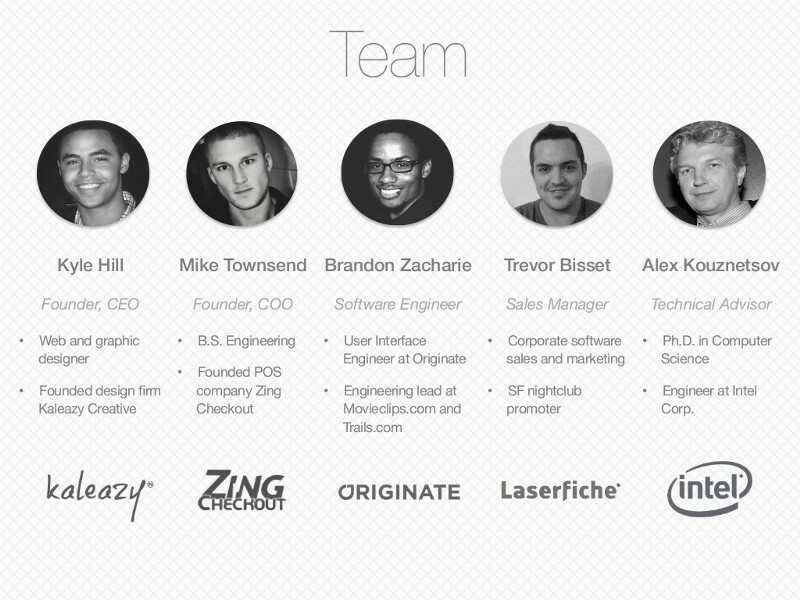 We will then invest X amount in hiring these key employees to help us create a scalable and repeatable business model. This is our historical financials in terms of revenue, cost and margins. This is our forecasted based on our % of growth per month. 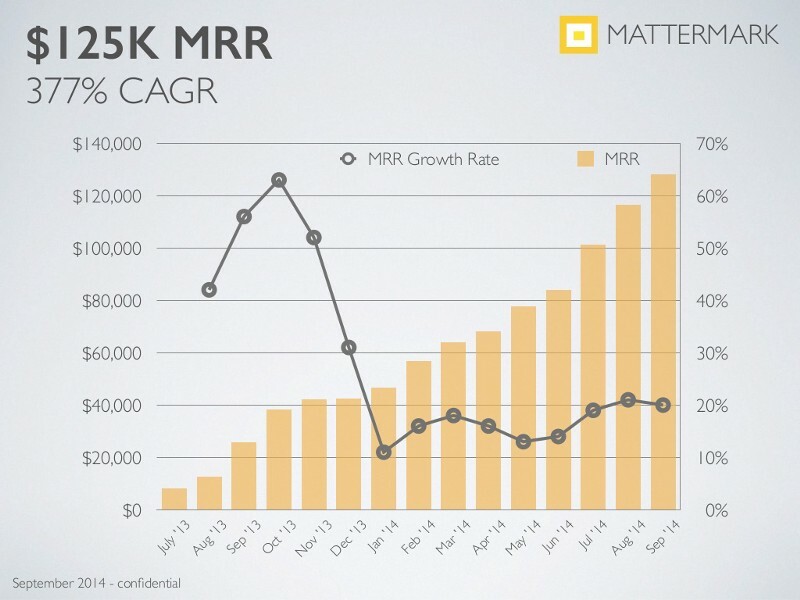 We anticipate to hit this much ARR and MRR in the next 3–5 years. This is our team. We have X number of years of combined experience in these areas of expertise. This is our background and past experience. We have also brought on these advisors who are experts in these fields. Given our expertise and experience, we believe we are the best team to solve this problem. Our vision is to bring this value to these people. Having to see this problem first hand, we’re driven by and grounded by this vision. We see a real opportunity to change the way things are and we invite you to join us in achieving this. Thank you. Please contact this email or number if you are interested in learning more. Often times entrepreneurs would feel entitled to investment because they believe they have a great idea. There is also a naive outlook that investors have a lot of money and they would invest in anyone with a great idea. These myths in the startup bubble are contributing to the communication gaps between the entrepreneurs and the investors. First and foremost, an entrepreneur should understand how venture capital work and put themselves in the shoes of the investors. If you are raising venture capital, the VC who is listening to your pitch has a mandate to return X amount of dollars back to his or her investors (who are the limited partners of the VC firm). Therefore, VCs need to make bets on companies with defensible products (with some degree of validation) in growing markets. To get an idea of how thorough and careful VCs are about investing other people’s money, you should take a look at their due diligence checklist. And finally, here is a great collection of pitch decks from VC-backed startups in the last couple of years.